Last week was a bad one for the claim that school choice can cure whatever ails education in Indiana. Choice doesn’t always lead to good outcomes. Then look to Indianapolis Lighthouse East. The charter school’s board voted to shut it down after a review conducted for its authorizer, the Indianapolis mayor’s office, cited problems with low test scores and graduation rates, unqualified teachers and lax discipline. Over 1,300 households that participate in Indiana’s school voucher program have incomes over $100,000, according to the 2018-19 voucher report from the Indiana Department of Education. That puts them in the top 20 percent of Hoosier households by income. So much for the argument that the voucher program, created in 2011, exists to help poor children “trapped” in low-performing schools. Like previous state reports on the voucher program, the current report paints a picture of a program that primarily promotes religious education and serves tens of thousands of families that could afford private school tuition without help from the taxpayers. At least $170 million a year. House Bill 1675, sponsored by Columbus Republican Ryan Lauer, would create what’s called an education savings account program. Students who attend accredited private schools could set up the accounts, and the state would deposit funds that they could use to pay tuition and other expenses. It would go far beyond Indiana’s existing private-school voucher program, which is already one of the biggest and most generous in the country. It comes close to enacting the “universal voucher” plan that libertarians have fantasized about since Milton Friedman suggested the idea in 1955. School voucher programs and charter schools practice discrimination in enrollment and hiring because they can, according to a recent policy brief from the National Education Policy Center. Federal and state laws permit discrimination in private schools that receive public funding. And charter schools are held to looser standards than traditional public schools when it comes to selecting students. The policy brief, by education law scholars Julie Mead of the University of Wisconsin and Suzanne Eckes of Indiana University, examines the legal landscape that allows for discrimination and recommends changing laws to ensure publicly funded schools are open to all. Mead and Eckes identify three factors that allow for discrimination. Federal law largely prohibits discrimination in public spaces but may allow it in private spaces such as private schools, even those that receive public funding via vouchers. Private schools and charter schools design their own programs and may not offer adequate services for certain students: for example, students with disabilities and English learners. State legislatures have taken a hands-off approach to discrimination in voucher or voucher-like programs, which now exist in 28 states. 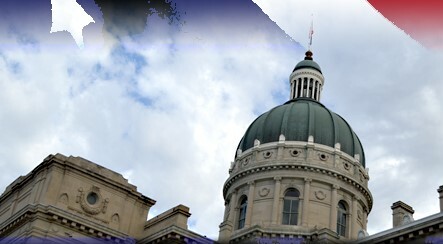 In Indiana, for example, voucher schools are barred from discriminating by race, color or national origin but may discriminate by religion, sexual orientation, gender identity, disability status or other factors. The policy brief cites the example of Indianapolis Roncalli High School, which indefinitely suspended a guidance counselor after learning she had married her longtime female partner. The school has received almost $6 million in state voucher funding over the past four years. It also points to reports that Indiana voucher schools refuse to enroll students because of their religion or sexual orientation and research that finds many charter schools are racially homogenous and enroll fewer special-education students and English learners than public schools. Congress should prohibit discrimination by schools that receive public funding. Federal agencies should consider withholding funds from schools that discriminate. States should revise voucher laws to ban discrimination by sexual orientation, gender identity, disability, first language and other factors. States should strengthen laws to ensure that charter schools are accessible to all students. 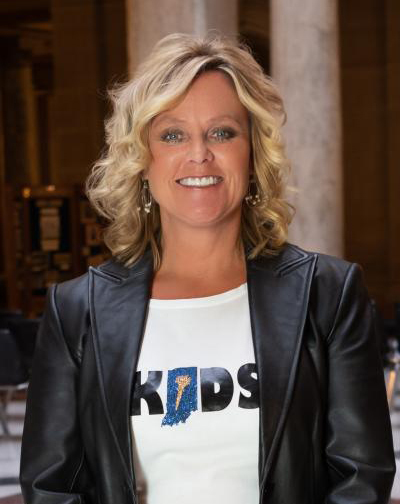 Jennifer McCormick ran for Indiana superintendent of public instruction in 2016 vowing to keep politics out of the office. She did her best, but it was too tall an order. A state education governance system that McCormick calls “dysfunctional” has made it hard for her to do her job. And in recent months, her fellow Republicans have reportedly been talking among themselves about making the job an appointed one in 2020, likely removing her from office. Last week, trying to calm the waters before the next legislative session starts in January, McCormick announced that she will not seek re-election when her term ends in two years.